goldplaited is Chicago's first finishing salon, specializing in beauty-enhancing makeup, fabulous blowouts and polished & fun drystyles. Located at the border of Lincoln Park/Lakeview, we are at the intersection of Sheffield and Diversey. Please note: Our cancellation policy is seven days in advance of the class. Within seven days, we can not accept cancellations or transfers. You are welcome to gift your admission to a friend if you can't make it. It was a rainy day and there turned out to be only me and one other person in class. Natalia who was our teacher made the class highly personalized and adjusted her teaching to our skill and comfort levels. At the end, she took out time to answer any questions we had not just about what we had learned but about anything related to makeup. I've been able to use the techniques we learned in class by myself on an almost daily basis. Thank you Natalia! This was my third dabble at goldplaited, and it did not disappoint. Got lucky that the class size was small (2 attendees) so we each had our own personal teacher. It was fantastic! They walked us through a day and night look using our own products so we could replicate at home. Looking forward to practicing my smokey eye at home! Fantastic class! We were a small group, and that allowed the teacher to really spend personalized time with each of us. I learned so much about how to contour! The teacher was very knowledgeable and patient, and most of all fun!She had all the supplies we needed, and items were available for purchase after the class. I have much more confidence now in my contouring abilities, and I have this class to thank! I learned the basics of braiding and defifeel more confident now. The class was fun, the instructors were great, and provided lots of personal attention, which was great! I'm glad I know about this place. I'm going to be doing a new head shot soon, and will use them for hair and make up. They are a finishing salon only. They do a great job! This was my third time taking a class at goldplaited because I love it there so much. They have ample instructors who make learning easy, fun and positive. We learned several types of braids and updos and the pacing of the class was great. I really loved this class. I have to continue practicing but the instructor really paid attention and taught me what I need to do. Highly recommend. I thought the class content was helpful and pretty simple to follow. I would recommend the class to a beginner with makeup. LOVED this class! I’ve always struggled to blow dry my hair and for it not to turn out frizzy or flat. The instructors were super friendly and helpful, with really great tips. I’m actually looking forward to blow drying my hair this week! Can’t wait to take another class here! Nice space, very friendly staff, well organized, lots of personal attention. I highly recommend. Great location. Friendly atmosphere. Teacher to student ratio was outstanding. We had 8 or 9 students and 4 teachers. Didn't flinch at working with darker skin tones. (My guest and I are African American.) The only improvement I can think of is to consider including a handout that describes the steps - color, brush type, and placement - so that we can really listen instead of half listening/half scrambling to write everything down. Will be looking for future opportunities to use/support Goldplaited. I’ve never been able to achieve that perfect at-home blowout, so registering for this class was no-brained. The instructors were all very attentive, and like with their other classes, made it easy to ask more personalized hair questions. While I still struggle to attain that perfect blowout, I feel that I’m several steps closer! Really fun class to learn the building blocks of hair braiding and how to do it yourself! Well taught class. I had a fantastic time learning about various eye looks! The instructor was very detail oriented and worked with me in understanding my eye shape and what look will suit my face. Since i was the only person attending the class, i had full attention and gained nuisances of how to use strokes etc. great class!! i am going for their next one now! I enjoyed the class. I left with some fundamentals to work on at home. 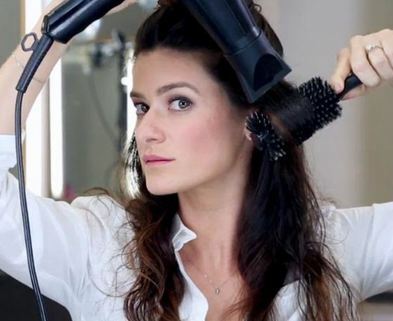 This is a great place to start to become comfortable with a round brush and hair dryer in your hands. I would've appreciated a little more guidance on what each of us should do with our specific hair types, but enjoyed the exercise overall. I didn't leave with photo-ready hair, but did leave with some new knowledge. The class was nicely sequenced. The instructor began with explaining what products and tools would be necessary and how they would be used, also explaining how our hair types would necessitate different types of products. They moved into a demonstration, then individually walked us through the blowout portion. The class ended early, but the instructors all waited until everyone had asked every question they would ever want to ask. I feel like I have the tools to start trying my own blowouts at home, although I still need to practice a bit. Lots of people complemented on how great my hair looked the next couple days and I loved telling them I did it myself! My friend and I had such a great time at All About Eyes! There were multiple teachers present to really give individualized instruction. I did a great job under their expert tutelage if I do say so myself! I've had so much fun putting y makeup on in the morning for work ever since. Highly recommended! Great learning experience and a lot of fun. I will do more classes with gold plated. I went in this class wanting to learn about a more dramatic, smokey eye look. They did not disappoint! They had everything I needed and more. Loved this class; I highly recommend taking it. Awesome experience!! My friend and I went for a girls night and the class totally exceeded our expectations! We were new to contouring and the instructor was very patient, knowledable, and friendly! Would highly recommend! The class was fun and I learned a lot! It felt like it was possible to come in with any level of experience and leave having learned quite a few new techniques. All the staff were so warm, welcoming, and helpful. It was a fun night with friends and I would love to do another class at goldplaited. I had a great time at GoldPlaited! The class was informative, fun and useful. I've already rocked some new styles based on the techniques we covered during the class. The teachers were very patient and worked to explain and demonstrate each braid in detail. They shared some simple tricks that are easy to execute and gave me good tips on how I can practice picking up hair (French/Dutch braiding). Five of my friends and I took this class together - it was so fun and educational! We all came away with some good skills that we didn’t have before. I took the class because I don’t know much about makeup application and wanted to learn in a hands-on setting rather than by YouTube. The class is capped at 10 but there were just three students, which was awesome because I had so much one on one attention with Yasmine. She has done my makeup for a wedding before with Goldplaited and it was amazing, and she’s an equally good teacher. Both teachers clarified all of my questions about what to use (brushes, colors, primers, etc) and when and how to use it and gave great constructive feedback. I’m really excited to use everything I’ve learned and hopefully take the contour class soon! I liked this class but I felt the price was a little high considering what's included. I would have liked to have gone into greater detail with some of the products, looked at the packaging/bottles, felt it in my hands before applying, etc. I also thought we were going to discuss our hair type and texture. I appreciated the individual attention that I received as the class size was small but one of the students had more challenging hair than I (very curly) and I felt like she got the lion's share of the instructor's attention. It also would have been helpful if some of the tools we used were available for purchase as well (some were, some were not). Overall, a good class if you're clueless but it's all pretty surface-level. Very informative. The other people who signed up for my class cancelled so it was just me and I got a one on one the entire time. Another great make up class from Dabble! They gave a lot of hands on assistance and overview of eye make up techniques. The class was good for beginners who struggle with eye make up. You will learn about brushes and products to use. I liked the class and thought that I got some really good tips on blow drying my hair. It was a really personalized attention. I was hoping to learn some tips on how to do my hair at home, but I did find that appropriate blow drying would take too long - approx. 45 min to 1 hr. I do wish that the class was a little more customized to the texture of my hair and my daily needs. I loved this class & the teacher was amazing! They made contoring and highlighting seem so easy! She took time with each student demonstrating and applying the techniques. She answered all our questions and discussed other products to try. Fun makeup products to try. Learned a lot! Very informative on contouring basics. Braids 101 was another fantastic dabble class at Goldplaited! Sydney and Krista were amazing teachers -- clear explanations, demonstrations, and individual attention. My hair isn't super long, so I appreciated that they focused on starting braids high, and then we were able to finish in a way that worked for our hair lengths and textures. We learned several different braids: underhand, Dutch, rope, and fishtail, as well as how to style braids into cute up styles. This class was so fun, and I would highly recommend to anyone thinking about taking it! I was very happy with the class! All the teachers were knowledgeable and the fact that it was a small group gave us a lot of one on one time with the instructors. I learned a lot about the types of brushes I need to use and how to correctly put together a night time smoky eye! 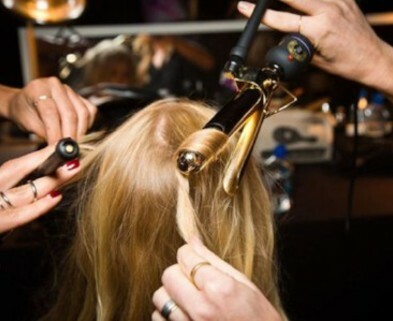 Overall lots of great tips and made the process of blow drying hair manageable. I really liked my instructor. The class was great! Since there was only two of us it gave more of a one on one class which was awesome. Both the ladies that work with us were really patient and explained everything really well. I'm going to find time to go back to another class. Really great class, learned a lot and have already put new skills to work with great results! I learned a ton! From the importance of airflow on the dryer to what part of the hair to put different products in - this was really helpful for a novice like me. My goals were to learn how to style my hair more without the use of a flatiron or curling iron and to coax my part from one side to the other over time. I definitely accomplished those goals. I enjoyed the friendly staff who helped me out as it was a little awkward at first to get the hang of things. Highly recommend! Enjoyable class very informative, helpful and patient staff! I learned a lot and would reccommend to anyone looking to learn how to efficiently blow dry their hair! A great class that combined some "lecture" with lots of hands-on work. All of the instructors were friendly and helpful and I feel like I learned a lot about doing my eyes. I feel more confident and am looking forward to practicing. I'd love to take another of their classes soon. This would be an awesome alternative/beginning to a girls night out - relaxed atmosphere, provided makeup (if desired), byob. I learned enough where the class felt worthwhile but not like I had to bring a notebook and pen. Absolutely loved this class! The beauticians were knowledgeable about what looks good based on your skin tone/hair color/beauty goals. Super happy! I had so much fun at this class! The information shared was super helpful, and by breaking into small groups, we got individual attention/help. Everyone was really nice, and I left feeling like I could do a smokey eye on my own. Would definitely recommend!! I absolutely loved this class. I usually go to youtube for new makeup looks, but it’s so much easier to learn when someone is explaining and demonstrating. There were women if all skills levels here so don’t feel like you need to be at a certain level for this class. It’s super hands on and you get tips for you eye color and eye shape which I really appreciated. This is an amazing class. I learned so much. This class was incredibly helpful and so much fun! The instructors were very hands-on and patient with everyone. They gave you the time to do it yourself, but also provided tips along the way. I would highly recommend this class to others. 5 stars! Great class! The instructor demonstrated all of the contour and highlight steps on another instructor and then gave us individual instruction and had us try the techniques ourselves in groups of 2. I feel equipped to go out and contour and highlight on my own now! As an added bonus, goldplaited sells all the supplies used in class (w/ really reasonable prices), but is not pushy at all about them (and will also recommend products you can buy in Ulta and Sephora). I really enjoyed this class! It was small enough to get one on one attention and suggestions, and the instructors were really friendly and helpful. I wish we would have learned how to do some finishing with hot tools like they do for blowouts at Dry Bar, especially because I was finished blow drying with >30 minutes left of class time, but I guess I'll have to sign up for their curling iron class. The Goldplaited space is super cute, and although I've been a longtime Dry Bar addict, I will definitely go back to Goldplaited. This was a fantastic class. I was so fortunate for one on one attention during this class. I learned so much about recreating a blowout at home. My instructor was patient, highly skilled and just all around fantastic. I can't wait to take their curling iron class. Thank you! I arrived thinking I was the only female on Earth who didn't know how to apply makeup but the class was full! We each went around to introduce ourselves and spoke about why we were there. So many of the same story--tried to do something dramatic with eye shadow and ended up looking like we have a black eye. The instructors demonstrated and explained how to apply for 2 different looks (daytime, nighttime) and then we broke off into groups to practice on ourselves. I'd brought my own shadow but since I realized half way through that my dollar store crap wasn't going to cut it, I used theirs. they are prepared for us to use theirs with their selection of brushes (who knew there were so many makeup brushes!). They were patient and guided us well. The instructors were all makeup professionals and I appreciated their insights. Very valuable class for such a bargain price! We had a small group for this class and two instructors, so they broke us up into two groups for a more hands-on lesson. There wasn't a set agenda outside of the instructor doing your eye makeup and explaining what she was doing. It was nice to have more of a 1:1 experience, but it was clear the two instructors had different styles and tips. At one point I leaned over to the other group to listen in. The lesson was what you made of it - definitely ask questions and probe for more demonstration. I really enjoyed this. The teachers were adorable and nice and really knew what they were talking about. The place is easy to find and super cute. I’m excited to go back for more classes. I had a great experience at the All About Eyes class! Sydney walked me through every step to achieving a perfect day and night look. I came to class with many questions and walked away feeling much more confident about applying my own eye makeup. It helped that the class was very hands on and I could work on applying my own eye makeup and have Sydney offer helpful tips along the way. Highly recommend this class. This class was fantastic! 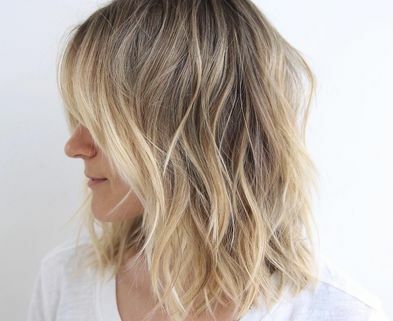 I regularly blowdry my hair at home, but had no real idea of what I was doing and always wondered how I could give myself a blowout more like what I get at a salon. The class was super hands-on and let you actually learn by doing. Loved the small, intimate size of the class too. Totally recommend -- I learned so much!! This class was awesome. The instructor first demonstrated on half of our faces then walked us through when we did the other half of our face. We even went over a few other tips too. Would definitely recommend. Enjoyed this class. Learned a lot to take with me. The # of students x:teacher ratio allowed 1:1 assistance which was a plus. I recommend class whether you’re a ‘beginner’ or familiar w/ braiding. Instructors were knowledgeable and helpful. This was a great, practical class to improve a skill of something I do nearly every day. It definitely was humbling to try to learn a new muscle memory, but I've already noticed an improvement in how my hair looks now that I'm applying the skills I learned in class. This was a great class. The first half is demo which I was glad for. Not sure I would have been able to jump right in. We then broke off into small groups with very talented and patient instructors (thanks, Becky!) who gave great advice tailored for our individual face shapes and features. Product is available for purchase after the class, but they don't push this on you. It didn't feel like one big commercial when it certainly could have. I'll definitely be back for their curling iron and eye makeup classes! We had a fun night learning and experimenting with new tools, products and techniques! The class starts with a live demonstration with an open forum for Q&A. She goes into detail regarding the rationale and explanations for professional makeup artists best practices. There is then almost a full hour to practice the techniques on yourself, and the instructor comes by to offer advice and answer questions to achieve a tailored look for your features. There were 5 girls in my class and 2 teachers. It was the perfect size! The teachers were able to give 1:1 help when needed. I also really liked the highlighter and will be buying the product when I go back for my next class! Great class. Learned so much! Highly recommend. Fantastic class! The instructors explained each technique in a way that was easy to understand and remember. During the hands-on time, we were able to try out the techniques while also having an instructor help us along the way. Would definitely recommend! This class was fun to do with a friend. You get to learn the very basics of contouring and hilighting using the many many products they have. Most of the people in the class knew nothing about contouring at the beginning and we all walked away with fresh faces! I ended up having a one on one contour consultation. My make up artist was very encouraging and gave me multiple opportunities to try the various techniques myself. I really enjoyed taking this class. It was a small class and their was a lot of good information shared. I like the fact that they split the class in groups and had some of the stylists were accessible and showing us individually how to apply the makeup. The class was very informative. I also like the salon and I'm highly considering back to have them style my hair. I loved this class! My friend and I had some experience with braiding so we thought it might be too simple for us, but in the first 15 minutes we had already learned some tips and tricks that made it worth the money! All the ladies at goldplaited are super sweet and gave us one-on-one support to learn the styles we wanted. The ladies at Goldplaited team up for another great class! While I attempted blow drys as my normal style, I was never able to get that body and movement that I got at a salon. The feedback and individual attention the instructors gave us was amazing and while I still have to practice to quicken my pace, my self blow outs are much improved! Great class for beginners. Plenty of instructors for individual teaching. Learned a lot! 4 different types of braids. I can't echo what the other reviewers have said enough! The instructors were amazing and spent a lot of time showing you the correct placement of different powders to contour and highlight your face shape. They did one side and we mimicked the other in a step by step fashion. As some other reviewers have suggested, bring a pen and paper so you can remember all of their good information! We learned how to improve the Dutch braid and how to do fishtail and rope braids. The end of class had time to practice French braids as well. The staff was helpful and patient and we went home with new styles to try on our own. The class was nice. I would love if they added how to do French braid on yourself. Great mix between hair and makeup techniques. Hands on help and easy to understand tutorials. Definitely worth taking! Very fun! Wine and personal coaching. We will be back for another class. Had a great time at the braiding class! We learned three different braids and then how to do something called festival hair (I think that's the name - it's where you use an elastic headband around your head and tuck the hair under). They had lots of staff on hand to make sure everyone unferstood how each style worked AND the staff was super friendly and patient for hair challenged folks like myself. I've been able to duplicate all of the braids outside of class and have been getting compliments! I would definitely take another class. Great class! Loved the hands-on help and small class size! This class was so much fun! I went with a friend and we both loved the class. I have never liked how much I looked after doing my own makeup. I will definitely be coming back for their other classes. The artists customized the class for everyone there, giving us all specific tips for highlighting our own features. LOVED THIS CLASS. I truly feel like I got bang for my buck. I recommend this class to anyone looking to find a new way to SUCCESSFULLY blow dry their hair. I truly have received so many compliments. Super fun class. Anna was great and I left feeling more confident in doing my eye makeup. Will definitely be back. It was such a great, hands-on experience! The staff was knowledgeable and they taught me a lot! I highly suggest this class! I thought the class was great! They made eye make up much less intimidating and fun to do! I particularly enjoyed the one on one, hands-on, "I do one eye, you do the other" approach. I thought that helped a lot in making it more accessible. And all the instructors and salon owners were very nice and helpful - answering questions and being readily available throughout the class. Learned really easy new hairstyles. I really enjoyed learning different ways to braid my hair! Gold-plated had a bunch of teachers around to help you out, and I ended up learning some really cute and easy hairstyles! I'm a little more advanced with makeup but still learned a couple tips & tricks. Really enjoyed this hands on experience! Definitely got a better idea of how to contour ! The instructors were very knowledgable, experienced and helpful throughout the session. Awesome experience! Great hands-on learning with tons of help. Amazing! I had so much fun and learned how to make my hair look bomb. All my friends want me to give them blowouts now! Really good balance between then showing us and doing it ourselves. Plus the girls at the salon were so nice and helpful. Highly recommend. This class was so fun and Mal and her team were so helpful. I went in with little confidence in my braiding abilities, but the instructors broke it down step-by-step. We had plenty of time to sip wine, practice on our own, follow along with the instructors, and work and with the teachers one-on-one. I left knowing how to do a Dutch braid, a fishtail braid and a French braid, plus two alternatives to ponytails. I look forward to being the envy of Instagram with my hip braids, and I look forward to more classes at goldplaited! The team at Goldplaired is awesome! I have taken the curling iron and highlighting class and have walked away with so much. I would highly recommend any of their classes! It was fun to watch step-by-step the best way to do an easy daytime eye look and have someone show us hands on, the braid bar was great too! Pretty good class. Would of loved to learn more braid options versus just the two we did learn. I appreciated the "do on yourself" training. I can do lots styles on others, but this class focused on tips on how to do various braids on your own hair, which was great. I also liked the tips on how to do styles I normally do (side bun) in a new/ more interesting way. Good "101" class. The instructor (Anna) was awesome, informative and very easy to answer my questions. It seemed like she got around to each person and there was also other makeup artists there so there was a lot of personal or one-on-one contact. I plan on going to all the classes at this place. This class was great! First, they offered the participants white wine upon entering, which was both unexpected and welcomed! There were only six people in my session with three teachers, so there was a lot of one on one help along the way. It was well-paced and differentiated; some people caught on faster than others, and the instructors were able to help everyone. They even stayed past the end time to teach people any braids they hadn't covered in class. They were all very kind and helpful. While most of the other participants knew each other, I went in alone. However, I never felt awkward or left out, in large part because of the instructors. 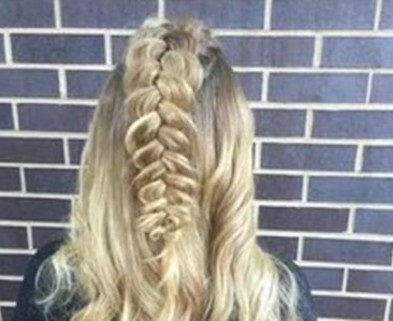 I hope they offer an intermediate braiding course of some kind to keep going! This class was very informative and hands-on. The instructor had us do most of the work, but was constantly available offering helpful tips. The flow of the class was great, and I feel comfortable doing it on my own now. I cannot say enough about how wonderful Mal, Co and the rest of the staff at goldplaited are. I am hopeless when it comes to doing my hair for special occasions, but after the braided upstyles class not only was I able to recreate everything later at home, but I had several people ask if I had my hair professionally done! I would 12/10 recommend this class. My favorite class so far. I enjoyed the smaller class size and individual attention given by the teachers. Enjoyed the experience! Plenty of makeup artists to assist and help us select eye shadow colors. Helpful demonstration of techniques by the owner and another make-up artist. The hands-on ability for us to follow along was the true value. I was gently pushed into trying something new. And, I purchased some concealer that I love. Just this morning through away 4-5 different types I had ongering in my makeup drawer. I finally found something that works. (and I cover it gently with MACs CC/BB concealer powder). I had a great time at this class. The teachers were very helpful and knowledgable. The only thing I would suggest is that I would have preferred to do more of the blowdry on my own. The teachers helped a lot which was nice but then it makes it harder for me to then go home and do it independently. Overall, great experience. I would definitely take another class there again. This class was fun and insightful, though I probably wouldn't rate it a beginners' class. If you already know how to braid and french braid well, then this class is probably great for your skill level. I unfortunately didn't have enough of a base level of braid knowledge and skill to take much away from the class. In addition, most of the class is demonstration - there isn't a ton of hands-on learning. I loved this class! Out of the 10 or so Dabble classes I've taken, this has been the one that has taught me the most. Super personalized attention and non-judgmental atmosphere. Will definitely practice the techniques on my own and would definitely recommend Goldplaited. Fun evening, easy step by step on how to apply eye makeup. Tremendously informative! It's nice to have the know-how to achieve the bouncy, smooth post-salon look myself. The class was fun, and we moved at our own pace. Special attention and tips were given for our specific hair types. I loved this class! It was so helpful and the individual attention I got was great. The Gold Plaited team answered all questions I had, so now I can blow out my own hair with ease! I learned so much from this class! It's awesome that we got so much personal attention and advice on how to deal with our own hair types. All the teachers were really friendly and offered great information. This is a great beginners class for someone who isn't confident in applying make up. My favorite part of the class is when you break into small groups and the instructors give you hands on help and you can ask questions and get advice. I absolutely loved this course. While I'm much more of a "5-minute face" type of girl, the techniques they taught and the products I was introduced to will remain in my beauty arsenal for years to come. The goldplaited team was professional, friendly and helpful. I will definitely be checking out their future classes. I really enjoyed the class. I learned a lot and liked the demo portion and having a hands on portion! This was a really fun class, with plenty of time to try out some demonstrated braid styles with opportunity for one-on-one correction and advice. All the ladies at Goldplaited were super nice and helpful. I even got to try a fun bold lip color and try out their brow highlighter - which I purchased and LOVE! I feel like it makes my eyes look brighter and I look more put together every morning. I've even rocked a few braids this past week, as have the friends I brought to this class. I had a great experience at this event. the staff is very welcoming and went out of their way to make everyone feel welcome. As the hairstylist was demonstrating the hairstyles, she was happy to answer questions and more then willing to repeat a step. After the demonstrations, we we're given one on one time with the hairstylist. I had very much enjoyed my experience with this salon and I highly recommend this class. I've signed up for their hair curling lesson and I can't wait! This was a very informative and fun class. The environment was clean and attractive. I felt like I got one on one attention. This class was so fun! We learned four different updo/braid styles, then got to try them out ourselves. They have sparkling wine and refreshments for attendees, and all the teachers were so nice and helpful. I could barely do a ponytail before class, and now I can actually create a braided updo that doesn't look like a complete mess. Not only did I learn how to contour, but I finally figured out how to tease my hair! This class was worth it. I came into the class not knowing how to do a SINGLE THING to do with my hair, and left having mastered not one but two awesome updos. Teachers give good clear demonstrations and are super-patient, and there are tons of supplies and mirrors around so you can try it all out yourself. I really appreciated that they were willing to spend one-on-one time with you to help you figure out how to master each style. If I can learn this stuff, anyone can. The class was a lot of fun. The timing of everything was great. I loved the instructors -- they were helpful. I left feeling more confident about an updo I'd want to repeat and also got bonus make-up tips! I came to Mal's class with lots of questions and left with gorgeous makeup, a renewed self-confidence in applying eye makeup, and even learned how to fishtail braid! There is so much to learn in class (products, brushes, technique) but the goldplaited team makes it really easy to learn new things. They walk around for the last half of class and answer questions, show you how to perfectly apply liner, and give you little hacks that are absolutely priceless. I highly recommend this class to anyone - it was fabulous! the teacher seemed very informative and knew what they were talking about. Overall the content was great! The class was a lot of fun and I even learned how to do a fishtail braid, which I'm very excited about. Thanks GP! I loved the Updo class! We learned 5 new hairstyles during the class and had time to practice with the help of the instructors. I plan to add 3 of the hairdo's to my regular routine. Very fun! I LOVED this class, Mal and all the instructors were so informational and friendly, I learned some new tips and tricks and am interested in attending another class! loved the braid tutorial! I learned a really cute braid style. Eye makeup was great for beginner and those who don't wear much makeup on a daily basis. I watch a lot of youtube so found this to be a review of what I already knew. Great salon! Learned a lot, and a fun, easy night. I absolutely loved this class and the whole experience! It was fun yet ever so helpful for even the most makeup or braiding challenged gal! I took away quite a few gems that I am already working into my daily routine and I honestly cannot wait to come back for another class! This class was awesome! I really learned a lot. There was a lot of interaction with the instructors. I can't wait to go back again! The salon itself is really cute too. The class was great. Fun and interactive. Will definitely go to another class hosted there. I enjoyed the hands on portion. I finally know how to make a winged tip eye - thanks Marguerite! Everyone at Goldplaited was friendly, helpful, & knowledgable. The braid bar with Megan was a fun addition to this class! I really enjoyed the beachy make up tips more than the hair. The salon is super cute and the girls are all very nice! Goldplaited is very easy to get to. We were welcomed with Champagne and/or water which was a delight! All Goldplaited personnel were pleasant and professional. Great hair and makeup tips were demonstrated. We even had a chance to experiment with their curling irons and makeup. It was fun! I really enjoyed this class - it was a great mix of demonstrating techniques on a model and then getting to try things hands on. The instructors encouraged us to play with all the products and provided 1:1 advice on achieving the desired look. I also found a new favorite hair product brand! There was zero sales pressure to buy stuff, but I'm pretty sure most people did buy products because they were great. This was a great class and made for a great girls night! The owners and the staff were very welcoming and personal. The shop is very trendy and cute. This class was very fun and informative. The make-up portion was awesome. As someone who is very intimidated by makeup they really made me feel at ease and taught techniques that I feel like I could replicate. The hair styles portion was very basic but fun. The girl who did the hair portion was very patient with the curling your hair with a straight net technique. Super practical class. Good for beginners. Makes trying to add some basic fundamentals to looking "glam" less intimidating. Good class to learn a few quick tips. Everyone at Goldplaited was so friendly - can't wait to go back for hair & makeup. I had always thought that the way to a smokey eye was more and more eyeshadow.....yet my smokey eye never turned out smokey.....just one giant blob of one solid color! I loved this class for teaching me a fool-proof method to the smokey-eye and even how to tame it down with neutral colors for an everyday look! This class was so much fun and after being all did up, I just wish I had somewhere to go after! I have taken 3 classes with Goldplaited and am completely HOOKED! All the classes have been super informative and super fun! It is in such a cute and comfortable environment, that you will walk about with a smile (and great hair, makeup, lips, etc)! The Braids & Brow class was awesome. I just started to fill in my brows this past year and have no clue why I didn't start sooner! We were taught different techniques and make up to use and I noticed such a different! The braiding class was so fun and honestly have been practicing and braiding my hair like crazy! With every class there is the lipstick bar and you get matched with a fun color, it's the icing on the cake! I have gone to these classes solo and with gal pals....either way, you will have an awesome time and meet great peeps! I had a great time at the Brows and Braids class. I had never tried a brow product before and loved seeing the subtle difference in using the products provided. The braiding portion of the class was so fun! Marisol made it look so easy, and she had several different styles to show off depending on your hair length. I would definitely try another Goldplaited class to experiment with different hair and makeup styles! Styling Techniques for Bobs + Lobs!